Will we make it? That's the question Kavitha and her cousin, Pallu, ask themselves as they trek through Himalayan pine forests and unforgiving mountains in Nepal and Tibet. Their goal: to reach Mount Kailash and Lake Manasarovar. 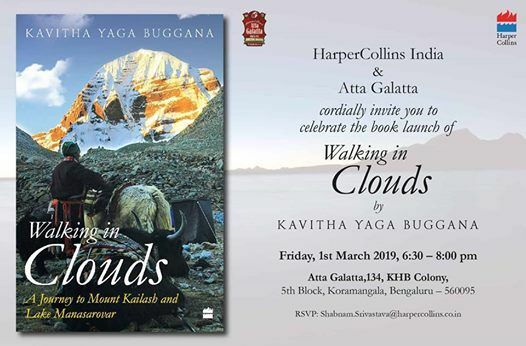 The two women walk to ancient monasteries, meditate on freezing slopes, dance on the foothills of Kailash, and confront death in the thin mountain air. In Kailash and Manasarovar, the holiest of Hindu and Buddhist sites, they struggle to reconcile their rationalist views with faith and the beloved myths of their upbringing. Remarkably, it is this journey that helps them discover the meaning of friendship. 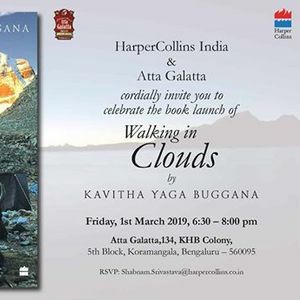 Walking in Clouds is a beautifully crafted memoir of a journey to far-away places and to the places within. It mixes lyrical, descriptive storytelling with stunning photographs to bring to life a unique travelogue.